This is our showcase to the world. Hope you´ll find interest things! CIBION stands for Centro de Investigaciones en Bionanociencias (Center for Bionanoscience Research). It has been recently founded by the Ministry of Science and Productive Innovation (MINCYT) and the National Scientific and Technical Research Council (CONICET), with the mission to explore and manipulate biological systems at nanoscopic scale. Our tools are the chemical synthesis in molecular, supramolecular, nano and mesoscopic scale, the surface functionalization in chemically and spatially controled patterns, as well as various methodologies of visualization and analysis with high sensitivity, temporal and spatial resolution. 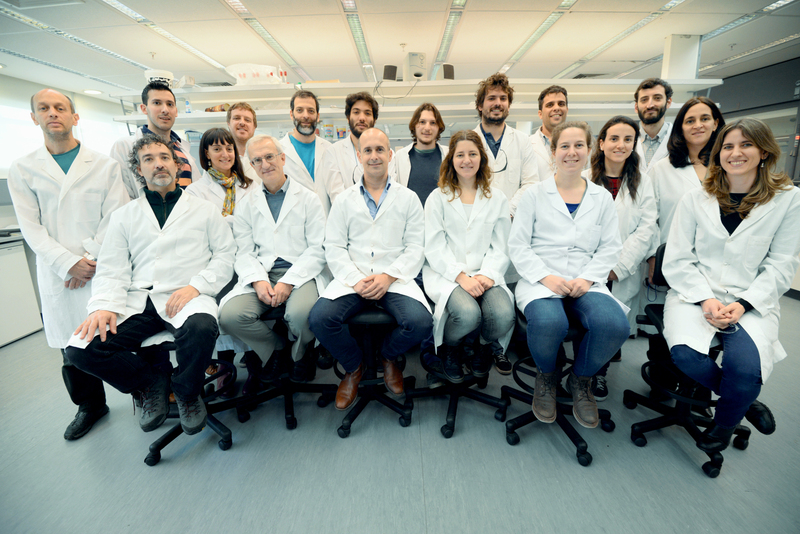 Chemists, physicists and engineers work together at CIBION and in close collaboration with biologists, biochemists and computing scientists of the other centers of the ´Polo Científico y Tecnológico´. They address current and future problems of health, energy, materials science, molecular biology and environment. One of the main objectives of CIBION is the training of the next generation of scientists and technologists by means of lectures, workshops, access to infrastructure, laboratories and advanced equipment. We hope students and young researchers trained at CIBION will become leader entrepreneurs and innovators, in both academia and industry. Through close interactions with the best research centers of the world, our students and researchers undertake collaborative projects and gain international experience. CIBION promotes horizontal, hard and dedicated work. All CIBION members contribute to an intense and interdisciplinary exchange of ideas. Our motivation is the curiosity of the unknown and the desire to overcome scientific and technological challenges. We work hard to push the limits of knowledge and provide solutions that improve the welfare of our society. We invite you to discover some more of our projects by surfing this web site. If you have the same philosophy and you are interested in some of the challenges we face… contact our researchers and join us!